[…]..David Hinds lead singer of British reggae band Steel Pulse and avowed Mother Culture, Sister Carol are slated to receive Rastafari Meritorious Awards for their dedication to advancing the music, culture and heritage of Black people throughout the world. Another highlight of the celebration is the fact Prince Ermias Sahle Selassie, grandson of the emperor has confirmed his attendance at the banquet. 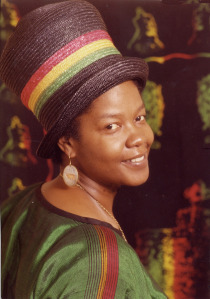 According to Vinette K. Price (Caribbean Life), two of reggae music’s most devout proponents will be lauded by Diaspora African Rastafari Congress (DARC) on Sunday November 8 when the inaugural Ethiophile banquet will commemorate the crowning of Ethiopian Emperor Haile Selassie I. The anniversary event will also celebrate the birth of the Rastafari nation. It will be held at Golden Terrace, 120-23 Atlantic Avenue in Richmond Hill, Queens, New York, from 6:00pm to 11:00pm. David Hinds lead singer of British reggae band Steel Pulse and avowed Mother Culture, Sister Carol are slated to receive Rastafari Meritorious Awards for their dedication to advancing the music, culture and heritage of Black people throughout the world. [. . .] The multi-purpose banquet will pay homage to African Zion Divine Negus Nagast on the 85th anniversary of his coronation.